I'm going to be sharing with you the gateway into higher states of emotion. I'm going to show you how you can start to embody more of love, peace, joy and bliss and an easy way that you can practically apply in your life. 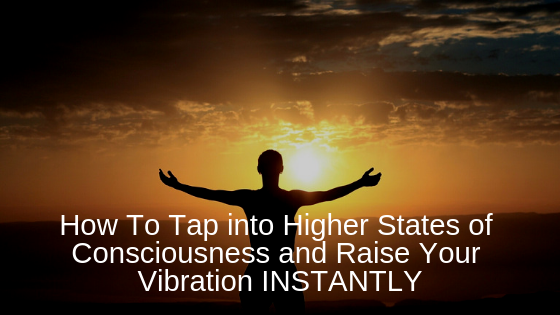 Today, I'm going to be sharing with you how you can embody more of higher vibrational states of consciousness, which really means higher vibrational emotions and having that be one of your set points, like how you feel the majority of the time. Just to give a little bit of context, I'm here in Costa Rica at a life transformation spa with four other YouTube friends and then also some YouTube subscribers too, which has been really cool. Maybe a trapped emotion that's also inside of our body. Really let that go and understanding that it's not who we are. At a certain point in our past, what happened is something happened and we gave it a negative meaning. And the moment we gave it that negative, meaning we, there was a disruption within our energy field. And what you do when you come to a place like this is you learn how to let go of all of those filters, how to let go of all those blocks that are a store. Because the thing is, is in life we get a reflection of our vibration. If we are subconsciously or feeling these underlying vibrations of shame, fear, guilt, and they're there in the background, we're going to continue to attract things in our life that are equal to that vibration that we are putting out. Coming to a place like this takes those things out of the peripheral or it takes it out of like the background noise almost. And what it does is it allows us to become more of who we really are. To our pure state as we were before. Any of the things happen in our life before. Any of those blocks were even created. And the truth of the matter is your natural set point, who you really are as consciousness is you are higher states of emotion. Bliss, joy, peace. That's who you are. If you feel anything less than that, what has happened is there's been some type of attachment either consciously or subconsciously to certain things in life happening to them feeling a certain type of way. It's about understanding that your core anyway, that's not who you, you're not these lower states of emotions. You are higher vibrational and about really remembering that and then choosing to embody it. But it's not like a chore. It's not something you necessarily do with the mind. And I'll share with you a little bit of my experience here. I'll kind of open up and share. This is a place where you can come to do what is called plant medicine. Before you maybe jump to thinking that this means like I don't know, there's, I guess certain connotations around it that, that it's something that it's like drugs or something like that. This is different. This is plant medicine is something that you use and can use as a tool to expand your consciousness. You have to check, there's certain plant medicine that is legal in some places and not others. This is in Costa Rica. This is legal here and is something that is licensed. I think this is one of the only places right now that's licensed in the world to administer that of Iowasca, which is a plant medicine. And I was actually kind of afraid to even share that on my channel cause like what other people think. But the truth is, I think it's a powerful tool if you use it, it resonates with you. I remember I gave a talk in La last year and when I did, I remember I mentioned that I was going to a place and doing and it'll Iowasca and we're like buckets and stuff like in front of your mattress and stuff. And it was kind of a funny idea to some people. But if you let me explain a little bit about what something like Iowasca does and it's a plant medicine that you drink, you drink it. There’s this big room thing over here that you see. This is where the ceremonies take place. You see these hammocks over here, this is where the hammocks are. You can come out like at nighttime and there's a swing and the stars are out. It's really cool. Over there was a fire pit and then inside is where the ceremony takes place. And there are mattresses with pillows and blankets. And then there's like a bucket there in case you purge and it sounds bad cause you to hear purge. Like what does that mean? Well, what happens is, is when you take something like a plant medicine or like I have come, what happens is if you look, maybe you've heard me share about the different states of consciousness of the chart with Dr. David Hawkins. If you look at this chart with Dr. David Hawkins right now, what you'll see is that you'll see the emotions such as shame, fear, guilt, Veggie neutrality. Then you'll see that of reasoning. Then you'll see love, joy, peace, enlightenment. What a plant medicine like Iowasca does, which has in it a, it's a fine and some other compound that makes it digestible, but what it does is it real lines you to source it realigns you to who you really are. When it does this, it increases your vibrational frequency. If you were to actually calibrate that have Iowasca, it resonates at over 600 on the scale. It's a very high vibrational resonance. Whereas some other, some other forms would resonate. I think there's different, there are different calibrations for different things. I was a might resonate at a certain frequency. You might have like magical mushrooms that, that resonate at a different frequency. This one that resonates high. The thing is, is when you increase your frequency to that of what the medicine is at, what will happen is it will bring up things that are other lesser vibration for you to deal with to then like, oh, so that's when some people say, Oh, you know, that you had to relive the past of this happening. You know, when I was younger and it was painful when they're in the experience, cause I Wasco will last for when you take your first drink it will last for maybe three to five hours and then sometimes less. But then you take a second drink a couple of hours later if you feel like it, and then it goes even deeper. But as you do this, what you do is you bring up all of these subconscious things. You bring up and you go into a deeper part of yourself or you're able to look at these things, see it, and then choose to let it go. And by choosing to let it go, it's like you never have to deal with it again. Or if you do, you relate to it in a completely new way. What you do is you take it, it brings all of these things up for you to look at and then you can choose to let them go. And sometimes if you, the more you resist, the more unpleasant the experiences and the more you allow, the more you actually enjoy the whole entire experience. When I was going through it, I was realizing that there were certain beliefs that I had from when I was younger. Certain meanings that I put on the things that I didn't realize. You may have heard me say before that your beliefs create your reality. That's true. And sometimes the beliefs we have, our unconscious, we're not consciously aware of them. For example, let me share one little insight that I had. I was asking whatever you want, you know, source or asking my subconscious mind or asking God whatever name you want to give it. I was asking what some of the beliefs I've had that I developed when I was younger about life in general that I'm not aware of are. And there was this one that kind of stopped, like poked out at me. And there's this, there was a, my dad when I was growing up, my parents were divorced and between when I was young, I was probably like five or six years old. We would go back to from my dad's house to my mom's house and cause they were divorced or whatever. And we would go back and forth probably like once a week through go three days at my dad's read and my mom's or something like that. And anytime I would go to my dad's house, I would then and then go to my mom's house. When I would come back to my dad's house, he'd always have like an action figure on our bed. He'd buy lists like some new Batman thing or some action figure thing and we thought it was really cool. My brother and I would come home and it was like exciting because we'd have the action figure, it would be excited about it, but at a certain point, he stopped doing that. He stopped putting the action figure on the bed. I didn't know it at the time, but there was a subconscious meaning that I put to that that said, oh, he doesn't love me any more or I didn't feel validated anymore because I wasn't getting that. Because when you're five or six years old, you don't really think about it, but you're always attributing meaning to things. And the meaning I gave that was that I wasn't worthy or I didn't feel validated or he didn't love me in the same way anymore because as a kid I wasn't getting that action figure anymore. That's what I equated it to. So you see little memories like this might bubble up to become aware of, to then let go of. And as you become aware of it, you can then let it go. When we were sitting and I was in ceremony one night, I had this shifting consciousness and it's something I talk about on my YouTube channel quite often about being not necessarily you need to do, not necessarily needing to have, but there's a state of consciousness of just being and saying yes to the present moment. I began to really shift into that and this is what I realized. This is, let me kind of explain kind of the thought process behind it or the lack of thought process behind it. Because our natural vibration is that of unconditional love, joy, peace, bliss. That's who we really are. It's more about allowing the energy to flow through. I remember that there was this moment when I was laying there and I just kept surrendering. I kept surrendering. And letting goes to whatever thought came up. I started instead of just reacting to the mind or reacting as the mind, I started to observe my mind. And this is, it sounds so simple, but there was, this is an extra little shift that happened to where I just kept absorbing into my sense perception. The gateway to you experiencing higher vibrational states of consciousness is the sense perceptions. That's what I realized. What I did is I brought the awareness from being in my head, being in the intellect, which did the first three days I was here, I was in the intellect, I was in the mind and I saw it had started to bring the awareness into my body. What I did is I brought the awareness into my hands. I brought it into my feet, I brought it into my chest. And what I did more so is I brought it into my heart. And I remember I kept putting my hands over my heart like this. And what I did is I just kept it there. I kept it there, and I allowed that energy to keep increasing. The more I put my awareness in my heart center, the more that increased and I felt this overwhelming sense of love and keep going through my heart. I was putting the awareness in my heart and then what happened is anything that would happen at all, I would just let it go. When I would allow it to be there, I would say yes to it. There'd be a certain song on and you know there's music being played. I would just really absorb and listen to music. I realized that mostly in my life, I haven't listened to music and the way that was really absorbing it, I was more so intellectually listening to music. I really felt whatever the music was, and it would shifts from song to song and sometimes the Shaman would be singing and there would be like someone playing the harmonica. However, the more I would surrender to the present moment and then absorb into my senses and experience, not just think about experience, the sound, the music, the environment, that was the more I would get into states of joy, bliss, and peace. And that shift was huge. That then it was like I was, I was free. I felt free of my own thoughts. I felt free into this moment into actually experiencing the present moment, which I think most people in life haven't actually experienced life because they'd been so consumed by the mind and the interpretations, the labels as to how things work. But when you shift into that of the heart center, that's where everything begins to change. And that's also when you begin to realize that the thoughts you're thinking or not who you are when you allow the thoughts to be there and you just have this utter sense of surrender, you will start to feel those emotions. And that's what I did. I started, I kept doing that. And it realizes that even if somebody would somebody was crying over in the corner or someone who's laughing on the other side, or somebody was a yawning or you know, you go through a purge. Many people go through purges when they have this when they're taking the medicine because they're letting go of stuff that doesn't serve. They're letting go of the energy inside of the body, which may come out in the form of throwing it up, which sounds painful, but it normally is a very good feeling because you're letting go of stored emotion. But it's about really absorbing the present moment more so than anything else. If you want to feel these higher states of emotion such as shame or such as that of love, feeling completely worthy, feeling the sense of high vibrational energy, the key to it is to allow yourself to surrender to the moment. Then to just keep bringing the awareness inside of your body, bringing the awareness inside your hands, bring the awareness inside of your heart. Because by doing that, what you end up doing is you end up becoming present and you actually start to live. You start to feel more alive. And the lightness is who you really are, is that most people have a filter over themselves of who they are because they're thinking, they're identifying their labeling. There are all of these things that are happening in the world and we identify with those thoughts. We identify with those states of consciousness thinking they are who we are. This happened in my past, this is who I am, this is how the reality works. It's not that way unless you identify with it. The key is to become free and the way you become free is with the observation and it is with the present into the moment gateway, which is your sense perceptions. That's what I realized and that's what when I began to do it began to change everything. I began to feel differently. No matter, I think there was still an hour and a half left. You know we, we start at like five 30 and we end at like one o'clock each night and I was, I remember, I knew it was like starting to wear off. I like part of me wanted to like, you know, when are we going to close the circle or when are we going to have like this last meeting before we leave or whatever. And I was just surrendered to the present moment. There were two or three dogs here, two dogs, and they're really cool dogs by the way. Maybe I'll show up and if I can, if I can find them, but I was there. One was barking at something. It was okay loud the moment to be heaps surrendering. Surrender to the present moment. Surrender to who you are. Understand that who you think you are is not the thoughts, the labels. That was one of the main realizations that I had that really changed how I related to the war, how are relate to the world and how I, how I show up in the world. And it's something for me that it was a taste of something that I can always go back to. I always ask myself the question, you know, sometimes I get so caught up back in the states and back with the business and traveling and getting ready to take everything to the next level with doing these seminars and stuff. And I'm like, you're so identified with it. But the key and what I'm realizing is to just be, to actually experience it along the process, to enjoy the journey. As cliché as it sounds, the more you enjoy the journey, the more your vibrational begin to raise because the more you are saying yes to the present moment. This is the main insight I've had is it's not even an insight. It's not even an intellectual idea. It's an experience. Because I've intellectually always, I've known this for a while now, even last time I was here, I touched on this idea of the letting go. But it really is letting go is the key. Because remember, you are those higher states of consciousness. You are unconditional love, bliss, joy, peace. And the only thing that keeps you in those lesser vibrational states of consciousness is identification with the thinking, thinking that's who you are. When actuality, you are so much more than that. It's about observing. It's about allowing, it's about the gateway into the present moment, which is your sense perceptions. And as you do that, and as you especially merge with your heart, put your hands over your heart, feel the sensation in your heart, you're going to be increasing your vibratory field around your body. And then what will happen is those lesser vibrational emotions will begin to go away. That's been my realization since I've been here. It's this gateway into higher states of emotion. Remember when you do this as well, you're going to attract the things you want, easier because your vibration will be higher. You're going to feel better about just in your natural state. And remember in reality, you get a reflection of your vibration. You get a reflection of your state of being. If you increase your state of being, you then increase your vibration. As you increase your vibration, things will happen more in alignment for you. It's really is something that many times is understated. The state of being and merging with your heart and being present to the moment and being in that gateway, that gateway, which is your sense perceptions. I think it's very underrated. I'm going to start making probably more videos about that. I'll maybe make a meditation that that is kind of like my whole experience of that, that, that back and forth with my mind that I went through and helping you to merge with your heart and then to also amplify a state of presence and a state of embodying that gateway into the present moment.